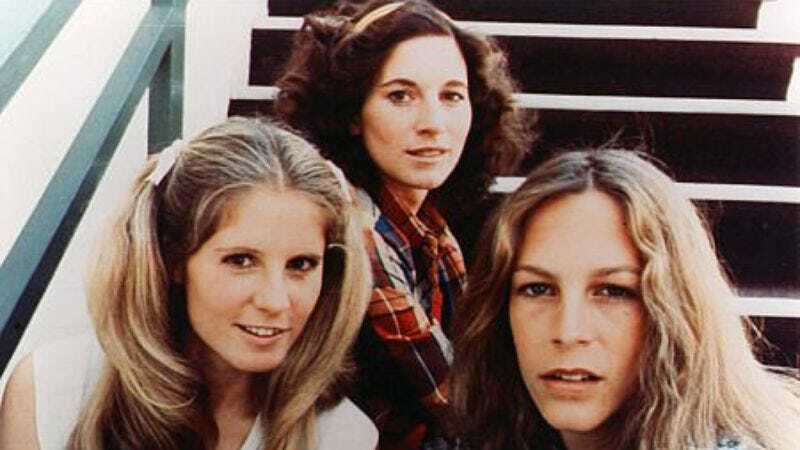 Laurie Strode, Lynda Van Der Klok, and Annie Brackett have finally signed up for Facebook. Somebody (or somebodies) has been running several Facebook pages for the residents of Haddonfield, Illinois, for several years now, but it appears things ramp up every year in October. Facebook is naturally littered with fan pages and communities that sometimes make the social media page look like a GeoCities website circa 1994, but following the Halloween characters should be a chuckle for fans of the 1978 slasher. Most of the fun comes from esoteric humor and the characters tagging each other and responding to posts. Whoever is running these pages gets the tone of the girls’ conversations just right. This may be the most accurate representation of what Facebook would look like in 1978, at least in a fictional Illinois town where everbody has California license plates. Lynda teases Laurie about Mr. Riddle creeping outside her window, Laurie noticed a creepy white mask on sale at Nichol’s Hardware, and Annie posted a selfie at her job as a receptionist at a funeral home (not canon, but a still of actress Nancy Loomis working the phones in Assault On Precinct 13). Tommy Doyle and Lindsey Wallace are in on the fun, as is Bob Simms (Lynda’s boyfriend) but Mr. Riddle, Devon Graham, Ben Tramer, Sheriff Brackett, Dr. Loomis, and Michael Myers himself are noticeably absent. Oddly enough, Mrs. Elrod, who is seen making sandwiches in the opening of Halloween II, has her own page as well. As we draw closer to All Hallows’ Eve, the tension is sure to ramp up. It looks like Annie and Laurie just got babysitting gigs.